Another actor is looking to put the stink of Fantastic Four far behind him, “Hot” off of portraying Johnny Storm, a.k.a. 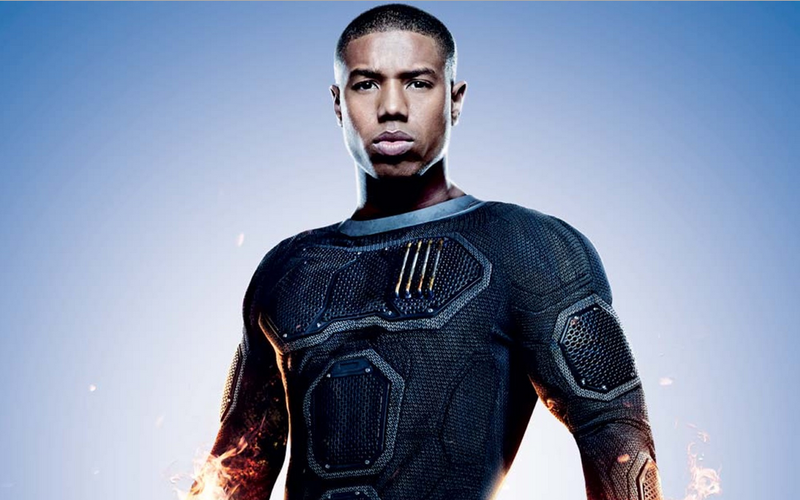 The Human Torch, actor Michael B. Jordan is in talks to portray Tree in the adaptation of the 2013 Dark Horse Comics miniseries Blood Brothers, according to The Tracking Board. The story follows vampire friends Nick and Tree as they party through the ages. All parties eventually have to end and after over a thousand years of hanging out, a mid-life crisis threatens to tear the friends apart, but an apocalypse-minded megalomaniac will bring the friends back together to save the day…hopefully. Screenwriters like Etan Cohen and Colin Trevorrow & Derek Connolly have taken a stab at writing the screenplay in the past, but it now seems like MGM is looking to have a new writer come on board. The studio wants something more in line with comedy buddy films like Lethal Weapon or 48 Hrs. The comic, from writers Mike Gagerman and Andrew Waller and artist Evan Shaner, has been likened in tone to Ghostbusters meets Men in Black. Michael B. Jordan has a fantastic sense of humor. I can see him really shining in a role like this. If MGM can find a strong onscreen partner for Jordan, this could be a sleeper hit. This entry was posted in Breaking News, Film and tagged blood brothers, Michael B. Jordan. Bookmark the permalink.